Mary Curtis and Davidson pose outside the IFC Center in NYC. Can you find the Empire State Building? 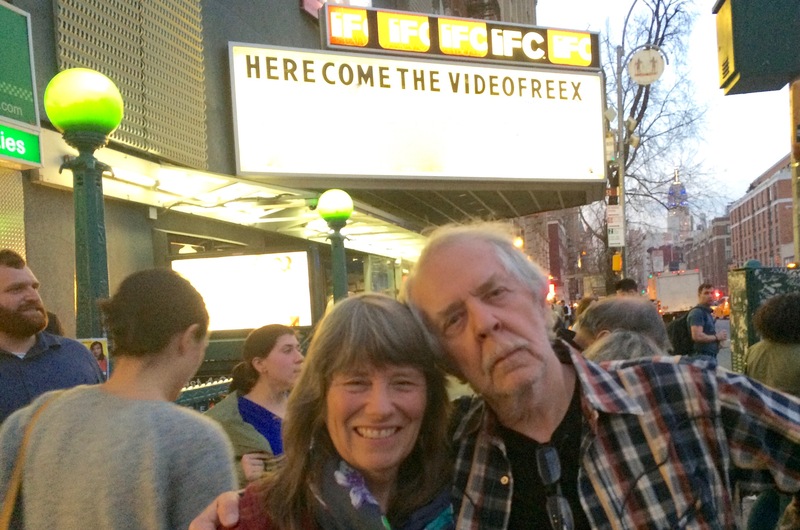 “Here Come the Videofreex” is a documentary feature, produced and directed by Jenny Raskin and Jon Nealon, about the activist and artistic escapades of these video pirates in the utopian 1970s. Recently screened theatrically in more than 50 cities, the movie is now available for academic acquisition. Coming soon: streaming on-line!